Signs are omens or miracles which are a display of the miraculous powers of God Almighty. Signs are only meaningful to believers but are offered as proof of God’s omniscient, omnipotent character. 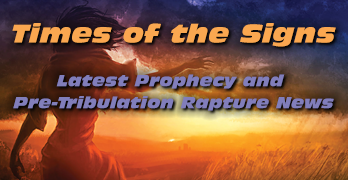 Fulfilled Prophecy is unique to the Judeo/Christian faith. No other religion compares in the least. In fact, no other religion lays out hundreds of prophecies in advance which come true like those found in the Bible. Signs can be markers on God’s timeline, as an indication to believers of what is about to happen. Believers are admonished to ‘Look Up!’ and non-believers are warned to ‘Wake Up!’ in response to the Signs which God displays in His great mercy. I thought it good to declare the signs and wonders that the Most High God has worked for me.